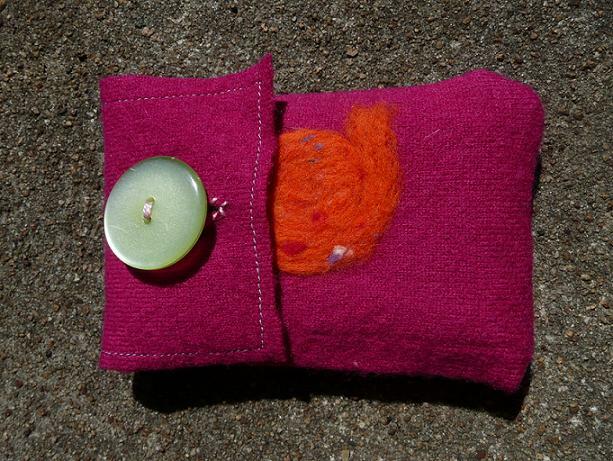 I always return to felted wool – love the idea of turning an old sweater into something new and useful. 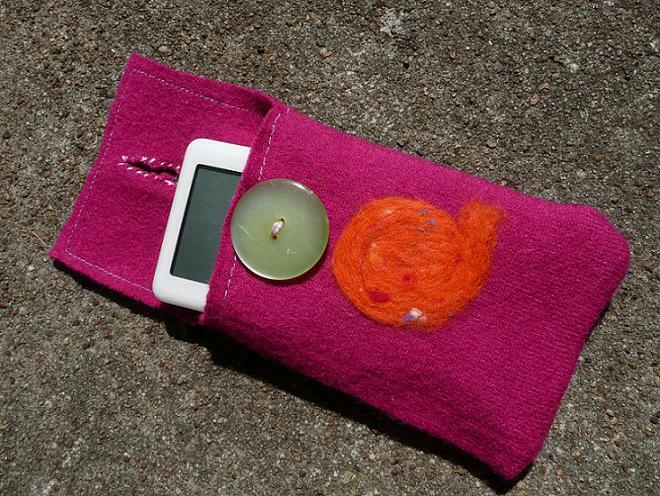 In this case, I used a hot pink felted sweater and sewed it into a case for an iPod. The orange swirl is a piece of loose wool that I felted onto the surface using a felting needle. The large green button was given to me by a coworker, who happened to find it somewhere on campus. There is even enough room inside the case for the headphones. With the flap closed like this, it reminds me of a one-eyed monster with an orange tongue. I wish I had more of these large plastic buttons!